Virtual reality has helped expeditioners at Australia’s Antarctic stations cope during months of isolation. This same research could be used for astronauts going to Mars. 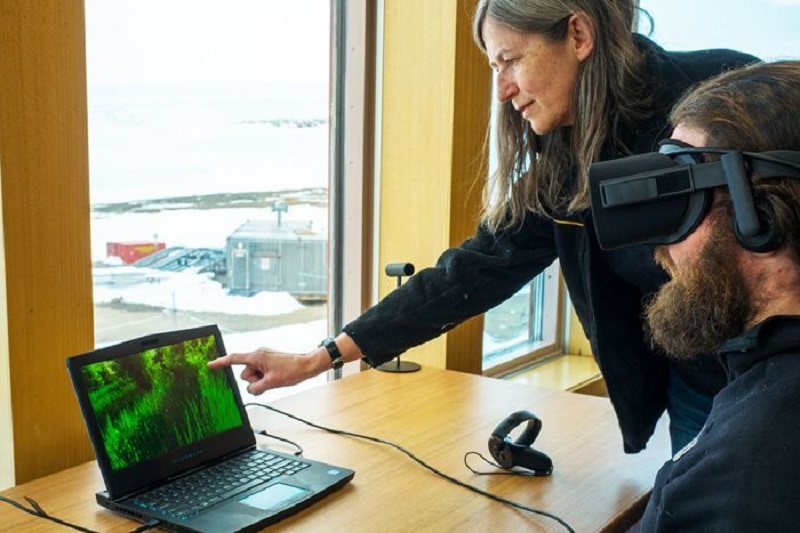 The Australian Antarctic Division (AAD) is collaborating with Dartmouth College to understand how virtual reality can help with mental health, according to a recent report. A mission to Antarctica is similar to a space mission since Antarctica is an isolated, confined, extreme environment and has one of the longest confinements on earth. It takes up to nine months at Mawson Station before people can get out and the Australian expeditioners are suffering real isolation and hazardous conditions. Virtual Space Station project is being used to help with mental health. The virtual reality scenes they are looking at are Australian beach scenes, European nature scenes and North American nature scenes of forests and urban environments. It is there to bring them back to reality, to give them a sense of being in a virtual space that is different from the isolation of the whiteness and silence of Antarctica. The program would help inform researchers at Dartmouth College who could use it for a long-term mission to Mars. There are other modules of the program looking at conflict management, stress and mood that they can also access offline and help them through the isolation of winter in Antarctica. It will be a great success if they could just help one person or one team or one station down south to get past the isolation and confinement of Antarctica over winter. VR has allowed the expeditioners to be immersed in different natural settings. There is evidence pointing towards exposure to nature, which everyone likes and seeks out, can be restorative and that it can help relieve people of stress. Moreover, it can also perhaps improve the attention and mental functioning of people. There are not that many people who live in challenging, isolated and confined environments like this. Thus, the information gathered from them is so valuable because it explains how people in this kind of environment would use a tool like this. The best bit about the virtual reality experience is the 360 effect. A mechanic, testing the VR at Mawson Station, compares it with the games he plays on his Xbox. The VR at the station is very different because it is possible to get interactive with it and be able to look around. He described his dream of becoming an astronaut when he was a young kid and being able to be in a similar situation to being in space and be able to add to the program are very awesome.